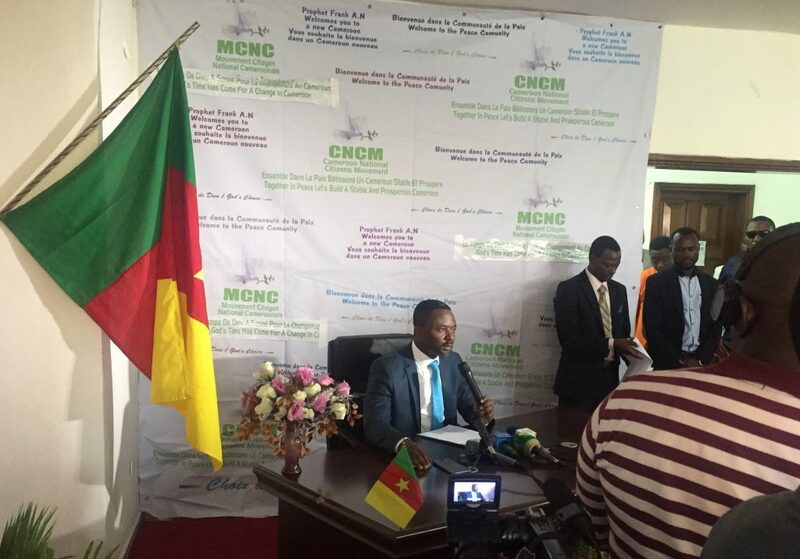 The Cameroon National Citizens Movement’s (CNCM) flag bearer had his first press conference after the October 7 Poll on Friday 11, 2018, at the party’s Headquarters in Bonaberi, Douala. Prophet Frank told the press and his militants that the reason he decided to come to the platform of leadership was because of the state of the nation. “When you see a man of God coming to the platform of leadership in a nation, know that trouble is knocking at the door of that nation and we are only coming in to remedy the situation,” Mr Frankline said. “True governance can only come with a man of God,” he went on. Concerning the October 7 poll he advised Cameroonians to stay calm. “Cameroonians should stay calm until the final proclamation of results. He also called on Elections Cameroon, (ELECAM) to be honest and transparent. “If everything is done transparently I will welcome the results of the elections as an Ambassador of peace in the nation of Cameroon.